On USC Dornsife Week: Do your genes decide the highest level of education you’ll receive? Daniel J. Benjamin, associate professor of economics, discusses this question. Daniel J. Benjamin’s research is in behavioral economics (which incorporates ideas and methods from psychology into economic analysis) and genoeconomics (which incorporates genetic data into economics). 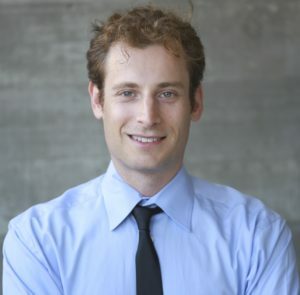 He is an Associate Professor at the USC Dornsife Center for Economic and Social Research and the Economics Department at the USC Dornsife College of Letters, Arts and Sciences and he is a Research Associate at the National Bureau of Economic Research. He holds a PhD in Economics from Harvard University, a Masters degree in Mathematical Economics from the London School of Economics, a Masters degree in Statistics from Harvard University, and a Bachelors Degree in Economics from Harvard University. He is a Co-Founder and Co-Director of the Social Science Genetic Association Consortium), which promotes interdisciplinary collaboration and well-powered research in social-science genomics. Other research topics include understanding errors people make in statistical reasoning and exploring how best to use survey measures of subjective well-being (such as happiness and life satisfaction) to track national well-being and evaluate policies. Studies of twins and adoptees have shown that genetics has some influence on how much education people get, but which genetic variants play a role? Together with several colleagues, I organized a team of hundreds of scientists from across the globe to try to identify genetic variants associated with the number of years of formal schooling a person receives—or as researchers call it, educational attainment. To conduct the study, we analyzed data from 15 countries, obtained from over 70 genetic databases, including the personal genomics company 23andMe. Our data includes more than 1 million people of European ancestry, making it the largest genetics study ever published. We identified nearly 1,300 genetic variants associated with educational attainment and found that, individually, each of these genetic variants predicts only a tiny difference in the length of someone’s formal education—at most, just a few weeks. Next, we created a single variable that represents the collective effects of many genetic variants spread across the entire genome. This combined variable could predict educational attainment as well as, or better than, many demographic factors that influence educational attainment—including household income. Keep in mind, no gene or set of genes determines how much formal education a person will complete. Instead, in combination with environmental factors, thousands of genes influence people’s cognitive skills and personality traits, which in turn influence how much schooling they choose to get. For this and other reasons, predictors of behavior based on genetics should not be used for personal life choices. However, the genetic predictor we created is a useful tool for research. For example, ongoing work is using it to shed light on how genes interact with environmental factors to influence academic achievement.